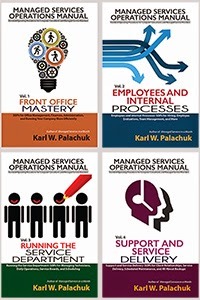 Small Biz Thoughts by Karl W. Palachuk: Thanks ChannelPro - I'm on the 20 Visionaries List for 2016! Thanks ChannelPro - I'm on the 20 Visionaries List for 2016! I got a bit of a surprise today. I received notice from ChannelPro Magazine that I'm on their list of 20/20 visionaries again this year. At first I thought someone was reposting a note from last year on Facebook. Then I got the email. I'm honored to be part of this crowd two years in a row. 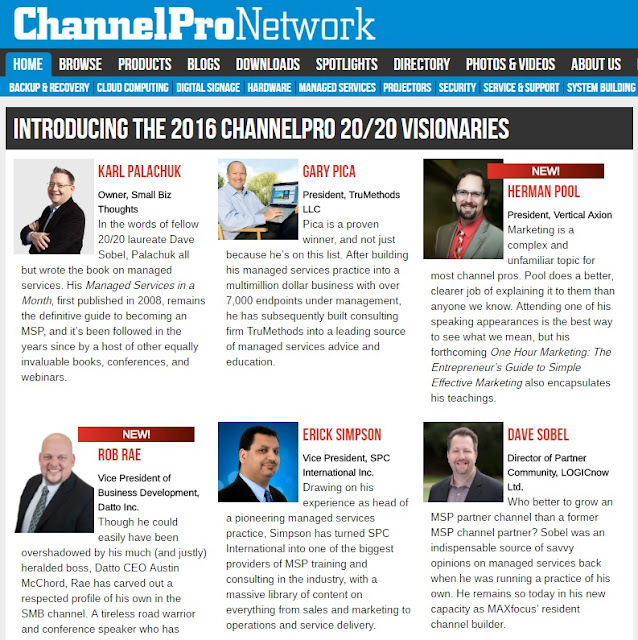 See the full article at http://www.channelpronetwork.com/article/introducing-2016-channelpro-2020-visionaries . Check out the list of Visionaries and connect with them. 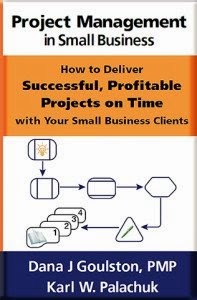 ChannelPro really has done a great job of highlighting some people you should be familiar with in the small business IT community. And if you go to many events, I guarantee you'll run into someone from this list - either on the stage or in the seat next to you!